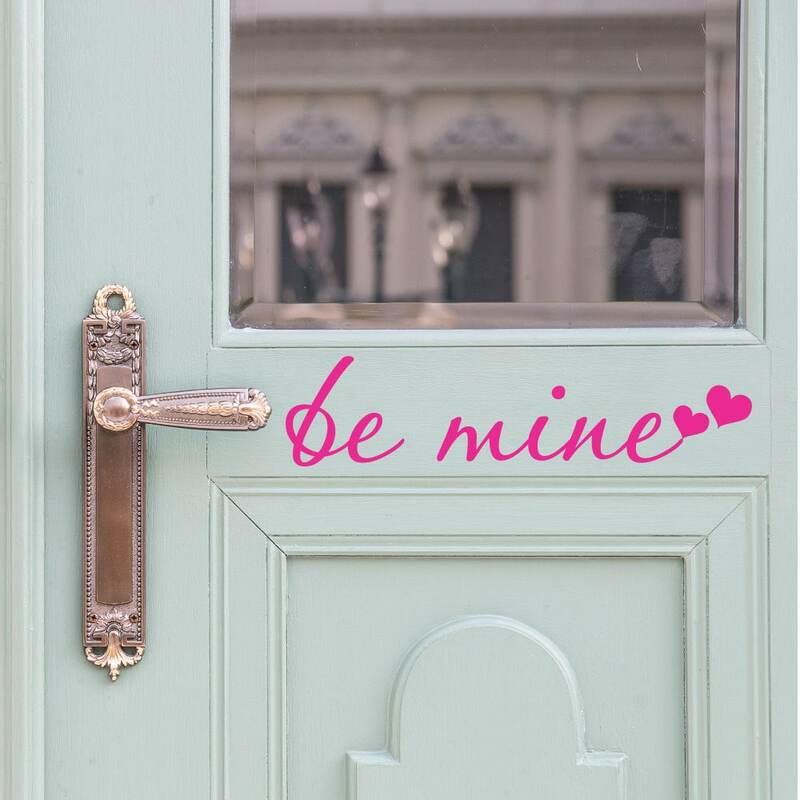 This Be Mine Door Decal will add a beautiful touch to your Valentines Day decor. 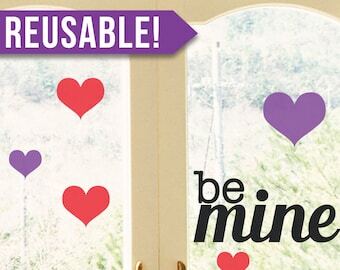 These Valentines Day decals are made in a modern handwritten calligraphy font and say "be mine" alongside two hearts. This Be Mine Valentines Day decoration is 3.5" H x 14.5" L. It can be placed on your door, or for a reusable option, installed on a sign you purchase from your favorite craft store. We have many colors available, including a gorgeous holographic glitter vinyl in silver, gold, or red! 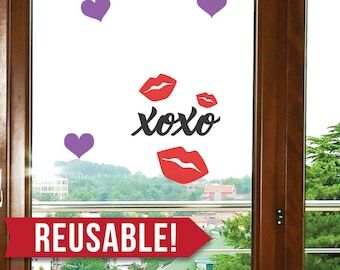 Our vinyl wall decals are easily removable. 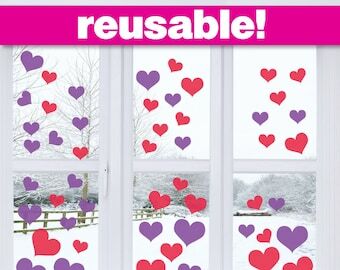 Simply use a heat source (hair dryer or heat gun) and peel them off the surface. 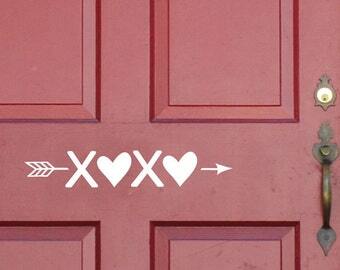 This makes our Valentines Day decals a great temporary decoration, or permanent if you so choose. 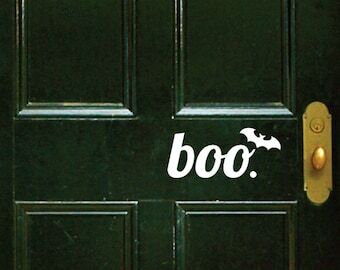 Want to reuse them next year? 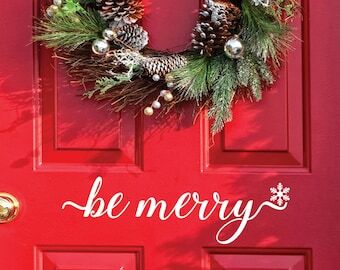 Apply them to a mirror, canvas, photo frame, shadow box, old window, or wood sign. All designs, images and descriptions are original and protected under copyright. © 2016 Luxe Loft. All rights reserved. 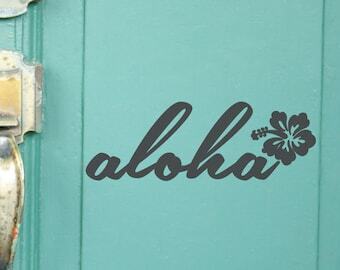 This was the most awesome decal that I could have added to my studio room where I YouTube from! The color was dead on! They showed me exactly what the decal would look like before sending it to me, and they packaged it perfectly so there weren't any problems with the post. The instructions were perfectly clear and my decal went up without a hitch. I love it! Thank you for offering the service! Arrived quickly, but PLEASE get help lining it up (as seller says)... Mine was just a smidge off & due to my OCD, I had to remove it & it cannot be re-stuck. Plus, be very careful applying, to avoid bubbles, I was very careful & still had several. I also found several decals a bit less expensive, now that I am having to repurchase. Bummed, I threw away that money!